Also known as Spider Web Charms, they are believed to trap unimportant or bad dreams that float in the air, pretty much the way a spider traps insects that flies into its web. Legend says that if you hang a dreamcatcher above a bed, it will catch the bad dreams in the web while letting the good dreams through the hole in the middle. As the sun’s rays hit the dreamcatcher in the morning, all of the bad dreams will evaporate and according to a Native Americans Legend, dreams that humans have while they sleep, are sent by sacred spirits as messages. 1. There is a hole on the center because good dreams are permitted to reach the sleeper through this hole in the web. 2. All the materials used to decorate them, they all have a special meaning. A single bead in the middle may represent the spider that is on the web. Scattered beads throughout the web may represent good dreams that may have been caught throughout the night, etc. 3. A feather represents a symbol of breath or air which is attached so it hangs from the center of the ring and the gender too. The Owl feather means wisdom (a woman’s feather) and the Eagle feather means courage (a man’s feather). This is not to say that the use of each is restricted by gender, but that to use the feather each is aware of the gender properties you will be invoking. 4. The “bad dreams” will be trapped in the webs and them they disappear at dawn with the first light. That is why you need to “clean” your Dream Catcher. The cleaning routine is very easy, just place your Dream Catcher under the sun and that is it!. In my opnion, if you want to buy one, try to byu on that is authentic whenever is possible. By buying dreamcatchers that have been made by native people, you can help keep the tradition alive and help support native tribes. Several websites specializing in authentic Native American items have been offering authentic dreamcatchers for sale. 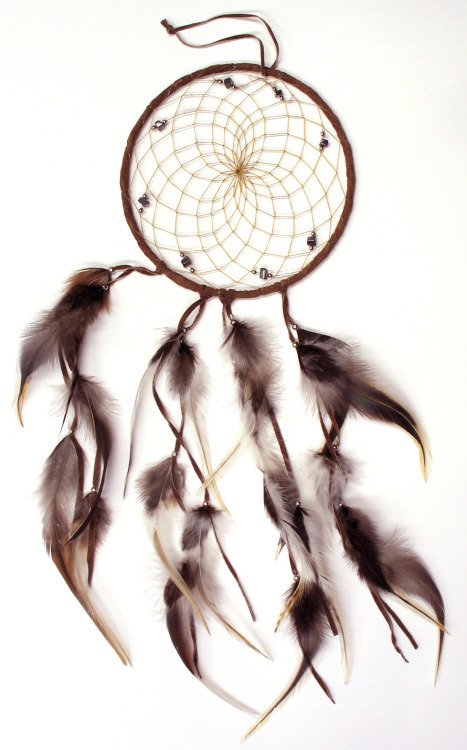 Try websites such as native-language.org/dreamcatchers.com for a list of craftspeople who make and sell authentic dreamcatchers and dreamcatcher.com for some beautiful examples for sale. When researching the long traditions of oral histories, storytelling has been passed down through the generations; from parent to child, grandparent to grandchild, or from one person to another. This is how the message continues to be passed on to future generations…..